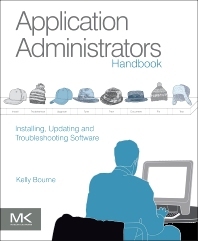 What does an Application Administrator do? Kelly C. Bourne is an Applications Administrator with The Interpublic Group of Companies (IPG) where he is responsible for responsible for maintaining, upgrading, and tuning five web based applications used by subsidiaries world-wide. Kelly has been programming with a variety of languages for over 30 years. Most recently his experience is developing client/server applications in Visual Studio .NET, Visual Basic, Oracle and Microsoft SQL Server. He has written articles for DBMS Magazine, IBM Data Management Magazine and for ZD.NET. He’s the author of Testing Client/Server Systems published by McGraw-Hill. Applications Administrator with The Interpublic Group of Companies (IPG), and author of Testing Client/Server Systems published by McGraw-Hill.